Mesmerizing. Melancholic. 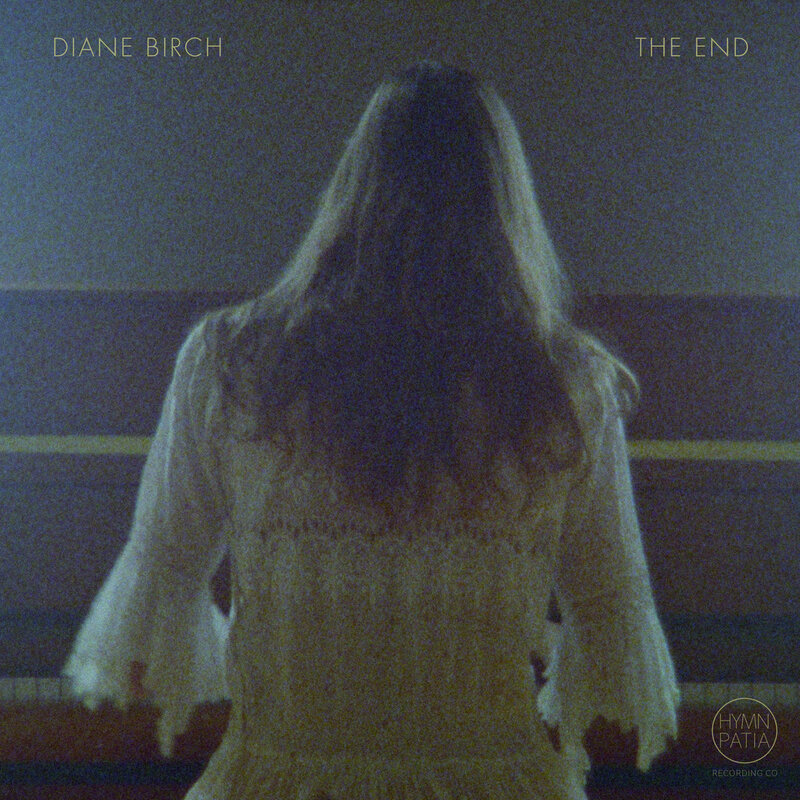 Those two words, more than any other, sum up Diane Birch’s new single, “The End,” which asks why a star shines brightest at the end. On Facebook, she noted that it’s in honor of her father, who passed away in January 2013. Head over to her Bandcamp page to purchase and download it. In addition to being the pastor of the Church of Birch, Diane is a wondrous singer-songwriter – one of my favorites, in fact. Her 2009 debut album, Bible Belt, was a delight (and my Album of the Year); it sounded like a lost treasure from the 1970s. A year later, her second offering, The Velveteen Age, recast seven classic goth songs of the ‘80s and ‘90s with a pop sheen that was simply hypnotic. Speak a Little Louder, from 2013, was less the Carole King and Laura Nyro of her debut and more Fleetwood Mac/Stevie Nicks, and no less astounding. Which leads to today’s Top 5: Diane Birch. 1) “Nothing but a Miracle.” So I read a review of Bible Belt in Rolling Stone about a month before the album’s release. It received, if I remember correctly, three-and-a-half stars, and sounded like something potentially up my alley. So I did what any self-respecting potential fan would do: looked her up on Facebook, and began playing the four songs she’d posted on her page, including this gem. Halfway through, my Diane called in, “Who are you listening to? I love her!” And, thus, the Church of Birch gained its 201st and 202nd parishioners. 2) “Photograph.” The first time we saw her, in July 2009, I didn’t have a smartphone, just a cheap Virgin Mobile cellphone that I kept in my car’s glove compartment for emergencies. But I wanted to – if nothing else – get a picture. So I brought our Canon digital camera with 720p video capability, took a few shots, and then set it on the table and hit play for this song. 4) “Bring on the Dancing Horses.” My favorite song from The Velveteen Age. Here, she breaks down why she recorded it and performs it solo. 5) “Dreams/Superstars.” This clip comes from a 2013 StageIt show. I’ve only watched a handful of live-streamed shows – the most recent was Neil Young’s Hometown concert. (They’re always fun, though never as much fun as the real thing.) Since I couldn’t figure out how to capture this stream for posterity’s sake, I held up my…I think it was an iPod Touch, as I’d yet to make the leap to the iPhone. (I still relied on the cheap cellphone that lived in the glove compartment.) So the quality isn’t the best. “Pretty in Pain.” Five months after that StageIt show, we were lucky enough to see Diane at the World Cafe Live Upstairs promoting Speak a Little Louder. We arrived early to eat, as the venue doubles as a restaurant, and saw (and enjoyed) her soundcheck. She channels her inner-Stevie Nicks in parts of this song. “Heavy Cross.” I’ve shared this clip before, but no matter. It’s a classic, killer performance. And, finally, “Stand Under My Love.” I’ve shared it before – it’s a stripped-down version of one of the Nous tracks. It’s always worth watching again. If I’ve listened to Honest Life once, I’ve listened to it 200 times in the past few months. But you’re forgiven (somewhat) if you haven’t heard of her. It’s become easier and easier to miss up-and-coming acts due to our ever-splintering, niche-driven pop culture. The highways and byways of popular music are littered with artists who failed to breakthrough to the big time, of course. Talent alone has never guaranteed success – luck and circumstance, and drive, play and have always played a major role. That said, below are a handful of new and relatively new-to-me singers and bands, some of whom I’ve featured before – and others that I will again. 2) Holly Macve – “The Corner of My Mind.” The bayou by way of Brighton? Yep. Macve mixes moodiness, melody and mesmerizing vocals into a tasty elixir. 4) Bully – “Trying.” At last week’s Juliana concert, we met a cool dude who’d flown in from Detroit to attend Juliana concerts in Cambridge, Philly and Virginia. He recommended this band, who he’s seen a dozen times – and, after listening to them a bit, I hear what he hears in them. 5) Fazerdaze – “Lucky Girl.” New Zealand’s Amelia Murray, aka Fazerdaze, is a wonder – I’d say she creates teenage symphonies to God, but given that she’s in her 20s…she creates twenty-something symphonies to God. (Here’s an excellent profile of her.) One listen and you should be hooked. 7) Jen Gloeckner – “Row With the Flow.” Gloeckner’s latest release, VINE, is an atmospheric (and very trippy) outing that channels the likes of Mazzy Star and Pink Floyd, among others.